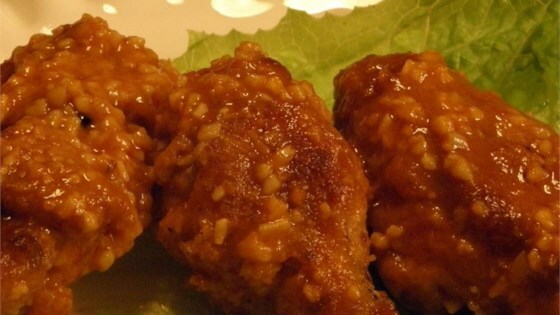 "This is the similar to the hot wings recipe served at a popular restaurant chain. Our healthier version features less butter and no frying!" Mix together flour, paprika, cayenne pepper, and salt in a small bowl. Place chicken wings in a large dish and sprinkle flour mixture over them until well coated. Place on baking sheet and refrigerate for 1 hour, uncovered. Bake wings in preheated oven until no longer pink at the bone and juices run clear, about 15 minutes per side. Combine butter, hot sauce, pepper, and garlic in a small saucepan over low heat. Cook and stir until butter is melted and mixture is well blended, about 3 minutes. Place chicken wings in serving bowl and add hot sauce mixture, mixing well. This recipe is a healthier version of Restaurant-Style Buffalo Chicken Wings. was so good. I oiled the baking pan and had great results. Keeping this recipe. Flavor very weak. Flour was clumpy and the wings stuck to the pan. No direction to spray pan. 30 minutes made soggy wings. Next time, NO FLOUR! These turned out sooo good. Not too hot just right, I will make them again.